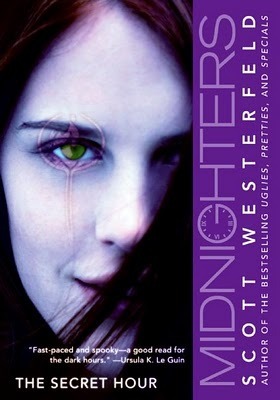 Fun midnight-hour shenanigans from Scott Westerfeld–yes, please. Flat, rural, without much to offer in the way of downtown metropolitan fine living, Bixby is a small town that looks like any other small midwestern American town. Well, with one exception. Every night, in the instant that passes as the clock strikes midnight, a secret hour unfolds in Bixby. There are actually 25 hours in the day, not just 24, and only those people born in the instant of midnight–the midnighters–are attuned to this “secret hour.” It can be a liberating time of beauty and enhanced special abilities–during this time, a psychic and empathetic teenager can hear herself think; a mathematical genius can put her algorithms to magical use; a boy can see with crystal clarity what would have been completely blurry; another can fly with single leaps and bounds. It is also, however, the hour that the dark things roam. Slithers, darklings, and other powerful shadows that the world has forgotten about live in this single hour–and for the most part, the midnighters and the slithers stay out of each other’s way. That is, they do until Jessica Day comes to town. Jess might seem all normal, well-adjusted daylight, but she soon discovers that she, too, is a midnighter–and that for some reason, she’s a locus for the slithers’ and darklings’ attention. With the help of her new friends, Jess must come to grips with the reality of the secret hour, and figure out the key to her own unknown power if she is to survive night in Bixby. “Come on, haven’t you ever wished for an extra hour in the day?” Rex asked. Right off the bat, the premise for The Secret Hour is killer–for one hour of every single day, dark things that are literally the stuff of nightmares roam a small town (and possibly other places on the planet). Only a few humans, midnighters, have the ability to walk during both day and the twenty-fifth hour–and as Rex asks, who hasn’t wished for that kind of extra time in a day? (Certainly I have. MANY times. Especially over the past year.) The fact that the teenagers who can inhabit this special time have superpowers, and use those powers to combat shadowy monsters is just an extra layer of cool on top of the Midnighters cake. I initially picked up The Secret Hour back in 2010, after reading Westerfeld’s Uglies series (and with Leviathan coming out shortly thereafter). I’ve always enjoyed Scott Westerfeld’s knack for action and wisecracking characters (not to mention the compelling premises for each of his SFF YA novels), but I dragged my feet on reading the Midnighters books for years. I’m very glad that I did read this book when I read it, because it was a serendipitous case of right book, right time. (And that’s not just because I read a lot of the book at midnight this week.) I’ve been yearning for a good YA contemporary fantasy with tinges of horror–a subgenre specialty that was immensely popular a few years back, but has since been displaced by dystopias and the like–and in that respect The Secret Hour delivers. So why does The Secret Hour work? Primarily because of its ability to balance quirky characters (complete with quippy dialogue) with an intriguing core premise that is surprisingly nuanced beyond the simple, traditional Good and Evil/Daylight and Darkness dichotomies. On the character front, The Secret Hour jumps third person perspectives, from intrepid heroine and new girl in town Jess, to her fellow midnighters Rex, Melissa, Dess, and Jonathan. This is both an asset and a liability, as the chapter jumping is initially confusing (especially since it’s not clear that Jess is the protagonist from the first chapter, given that it opens with Rex’s narrative)–but ultimately, it’s intriguing and revealing to see inside each of these characters’ minds. My favorites by far were Dess and Melissa–Dess, because of her polymath skills and her surprisingly attuned nature to navigating relationships; Melissa, because her power is an incredible burden (having to hear and taste every living thought), and her surprising bitterness and hostility towards the more “normal” Jessica Day. The other characters are more of the stock variety–Jess in particular, with her super powerful rare power and her ultra normal non “weirdo” socialization. That said, Jess, Rex and Jonathan show a lot of potential for future depth, beyond superficial abilities and powers–I’m excited to see how they pan out in subsequent installments. Really, though, the reason why The Secret Hour succeeds is because of its core mythology and premise. The idea of an extra hour, in which shadowy creatures roam, is, as discussed previously, awesome. What’s more awesome is the fact that these shadowy creatures? They aren’t (or they don’t seem to be) inherently “bad” or “evil”–in fact many of the midnighters go out of their way to compare these creatures to wild predators. i.e. You certainly wouldn’t want to cross a live leopard in the wild, but that doesn’t make it a heinous agent of the dark side. There is also an element of nostalgia to The Secret Hour–when Jess awakens to the “blue time”, for instance, she meets a strange cat who lures her outside and into the frozen, hole-in-the-sky world that lies between the stroke of midnight. It’s hard not to compare this kind of portentous meeting to, say, Garth Nix, Ursula Le Guin, Anne McCaffrey, or even the more recent Neil Gaiman. 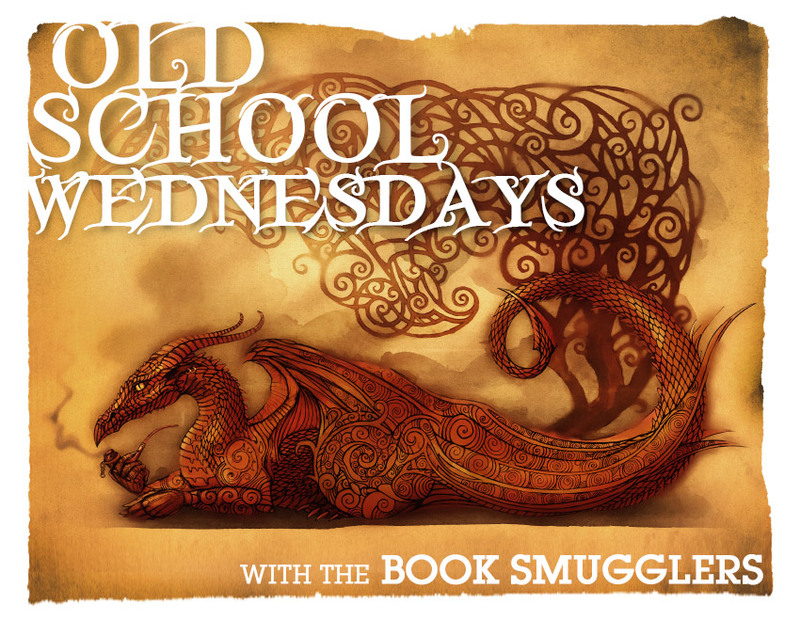 Even though this book was originally published in 2004, it shares the same sort of premise and nostalgia factor as those older classic MG/YA titles–albeit updated with a more modern, technological-focused twist. There’s a lot of seeding for future stories laid down here, too–Bixby is a town where 13 is a lucky number, where sigils (that appear throughout the text) hold special meaning, and where the secret hour seems locally isolated. We’ve only met teenagers who are grappling with their secret abilities in this first novel… but there are a TON of possibilities. In a town like Bixby, where location is key, there also might be older members of the midnight club. Or there’s the mystery of that top secret federal-level clearance research facility. Or… well I don’t want to spoil anything, but there are many interesting possibilities. I, for one, will be back to see where the midnighters go next.